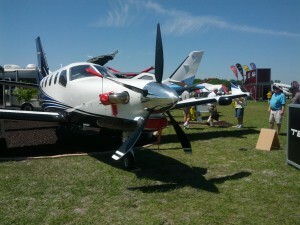 The June issue of Plane & Pilot features a fantastic story on Daher-Socata’s new TBM 900. The reporting team of James Wynbrandt and David Carlson took to the skies with Wayman Luy, a pilot for Socata, for a demonstration flight across Florida. They had nothing but great things to report from Socata’s new flagship aircraft. The TBM 900 is a fine piece of machinery. We covered its many advanced features here. Creating propellers that marry the world’s best performance with a look stylish enough to turn heads on any runway is our passion. We were incredibly proud to lend our skills to the TBM 900, and we believe the plane (and our props) will continue to draw attention far into the future. Thanks to Daher-Socata for the opportunity to be a part of this project, and to Plane & Pilot for their powerful words. Click here to read the entire story.